There can be a bewildering number of merchant account fees and other costs involved in processing credit card transactions. It is important that you understand the nature of these fees prior to selecting a merchant account. Otherwise you may find yourself facing unexpected expenses when you commence processing.Too few merchant service providers deliver efficient payment processing, so examine first which system will be convenient for your business. Remember that banks and merchant account providers are businesses, whose overriding goal is to make money. So if a particular provider offers a low discount rate, they will likely need to make up the lost revenue by charging higher fees elsewhere. So examine the various credit card processing fees as a package, to determine which offering makes the most sense for your particular circumstance. Before signing up for your merchant account, you should carefully review the merchant account agreement, paying particular attention to uncover fees that may not have been disclosed on the merchant account company’s website or during your discussions with its agents or sales representatives. The most usual fees associated with merchant accounts and credit card processing are now discussed. Transaction Fee: This is a fixed charge for each transaction processed through your merchant account, usually between 20 and 30 cents. Discount Rate: This is the percentage you pay on each transaction you process with your merchant account. For internet and manual online processing the discount rate is usually 2.25% to 2.50% for U.S. merchants. For retail transactions, you can expect to be charged only 1.70% to 1.85%. The higher rates charged for internet and online processing are due to the merchant not having a physical credit card present in front of him (as he does with a retail transaction), so the risk of fraud is greater. Also, if your business type is seen as high risk, or it is operated from outside the U.S. , you can expect to pay significantly more. Actually there are three types of discount rates: Qualified, Mid Qualified and Non Qualified. We discuss these below. Qualified Discount Rate: This is the lowest rate. It applies (i) for retail transactions where the merchant has the credit card present, ‘swipes’ it and ‘batches out’ daily. The rate will be in the 1.70% to 1.85% range; and (ii) for internet and phone/mail order transactions, where the customer or the merchant “keys” in the card information and there is an AVS match. Here the rate will be in the 2.20% to 2.50% range. Various conditions apply in order to qualify for this low rate and if not met, the Mid Qualified or Non Qualified Rate will be added on to the Qualified Rate. Mid-Qualified Discount Rate: An additional charge on top of the standard Qualified Rate where (i) a retailer manually inputs (keys-in) a transaction (i.e. the card is present but not swiped); or (ii) for internet and phone/mail order transactions, there is no AVS match. In either case, a surcharge of from .75% to 1.25% will be added to the normal Qualified Rate. Non-Qualified Discount Rate: An additional charge added to the standard Qualified Rate where (i) a retailer fails to batch out daily; or (ii) for internet and phone/mail order transactions, transactions are keyed in but are not batched out daily (Note: where the customer keys in the information on a website, most gateways perform the batching automatically). In either case, a surcharge of from 1.50% to 2.00% will be added to the normal Qualified Rate. In addition, all transactions using international, corporate, government, or business credit cards will be subject to this surcharge. Keyed: Where a sale is typed in a computer or a terminal (e.g. where the credit card is not available (‘card not present’) or because the terminal cannot ‘read’ the credit card, or where a customer types in the information on a merchant’s website), the transaction is said to be “keyed”. Batch Processing: Submitting a group or batch of transactions each day to the processor. A daily fee of 20 to 30 cents is sometimes charged. Address Verification Service (AVS) Fee: AVS service checks that the customer’s stated billing address matches the address provided to his credit card company. A fee of up to 10 cents for each transaction may be charged. Monthly Minimum: This represents the least amount that will be levied against you for discount rate fees in any month, even when you have no sales processed. The typical monthly minimum is in the $15 to $30 range. You will be charged this fee only when the sum of all the discount fees you have paid for the particular month do not reach your minimum monthly specification, so once that monthly minimum has been reached, you will not be charged a minimum fee. Statement Fee: A charge levied each month for maintenance of your merchant account, preparing your statement, etc. You can expect this to be in the $10 to $20 range. Chargeback: Chargebacks result when one of your customers disputes your charge on his monthly credit card statement. The customer’s card issuer then starts a chargeback procedure – and your merchant account then has deducted from it the amount in dispute. Then, you will have a short period to dispute the issue, by giving the customer’s bank with proof that the customer did in fact make the purchase and that he received what he bargained for. A fee of $25 to $40 is also levied against you. Large numbers of chargebacks may cause the loss of a merchant account. Gateway Fee: With internet merchant accounts, the ‘gateway’ integrates the purchase form or shopping cart on your website to your processing service. A monthly fee of $10 to $30 is charged. Re-Programming Fee: When a retailer switches merchant account providers and some alterations to his processing system are needed, a re-programming fee may be charged. Many companies will however waive this fee in order to attract the new business. Reserve: If a merchant’s business is perceived as high risk, a holdback or reserve may be set up to secure the bank regarding the higher risk. The reserve may be either a lump sum payment made upfront, or a percentage of monthly sales processed (5% to 20%), or both. The reserve may be reduced or eliminated if you operate without alot of chargebacks for a period of time. Termination Fee: Some merchant accounts call for payment of a termination fee if your account is cancelled. 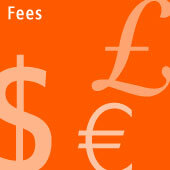 Application fee: A fee charged for merely completing an application for a merchant account. Nowadays this is usually only seen with offshore and other high risk accounts and even then is often refunded should your application be refused. Annual Fee: An annual fee of $20 to $75 is charged by a few providers. Software/Hardware Fees: For internet and other online processing, merchants usually have to buy or lease a processing program. For retail merchants, terminal and printing equipment needs to be bought or leased. Recently though, some providers will not charge these fees for internet/online accounts and, for retailers, will offer, at no cost, a refurbished terminal.